Published by Mountainblog on 04/11/2013 . Asolo’s mission is to create personalized footwear to fit every situation from walking to hiking, from backpacking to more challenging climbs in all conditions. Asolo’s uniqueness in creating footwear is once again seen in the new line of hiking footwear “Natural Shape” a line of footwear dedicated to trekking that is lightweight and has an innovative technical design. The design of the Natural Shape Line expresses the maximum in terms of performance and research: an innovative formula that combines stability needs and protection with the ability to adapt to the natural contours of the foot and provide extraordinary ground sensitivity. With Natural Shape everything becomes soft and smooth. The new form mirrors the correct shape of the foot and the weight is distributed with special attention to the areas of the foot that receives highest impact. The result is a smooth and pleasant fit. The collection is mainly characterized by the use of a unique new ergonomic form to offer maximum comfort whilst being lightweight, water resistant and having controlled flexibility. 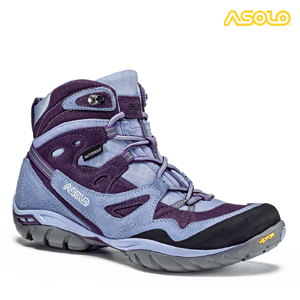 The sole is designed by Asolo in partnership with Vibram: the thermoformed EVA midsole is made with new generation of compounds that enhance lightness, roundness and support. The central insert Asoflex Natural Shape in TPU is directly thermoformed to the midsole. Its unique construction offers support and containment in the side / rear whilst the grooves in the middle section of the sole allow for a smooth and pleasant roll of the foot. The bi-colour rubber sole has a contained lateral profile that reflects Natural Shape’s new standard. The design is strong and harmonious, focused on the points that contact the ground most during the support and thrust stages, ensuring excellent traction. 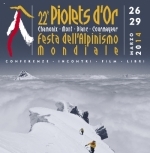 Asolo supports "Les Piolets d'Or 2014"